Halton Borough Council, working with local secondary schools and colleges - artist to visit students and show how they work, students respond with their own works using the tools and techniques shown. Artist also makes new work in response. 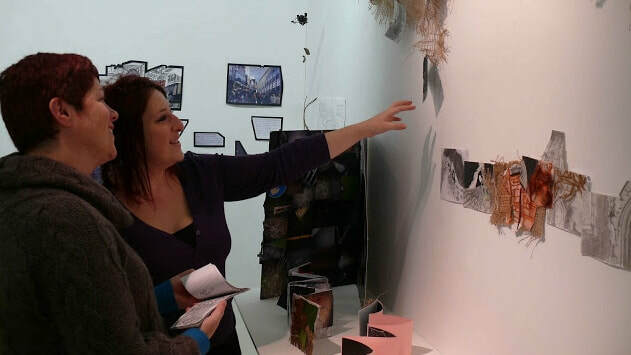 Exhibition at the Brindley Gallery, Runcorn. 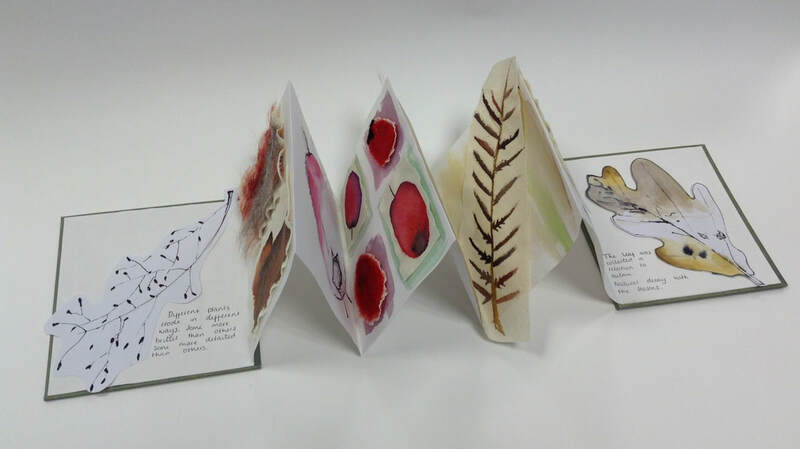 Working with Wade Deacon High School, we are exploring the theme of METAMORPHOSIS, using paper to fold, cut, form and shape into sculptural works. 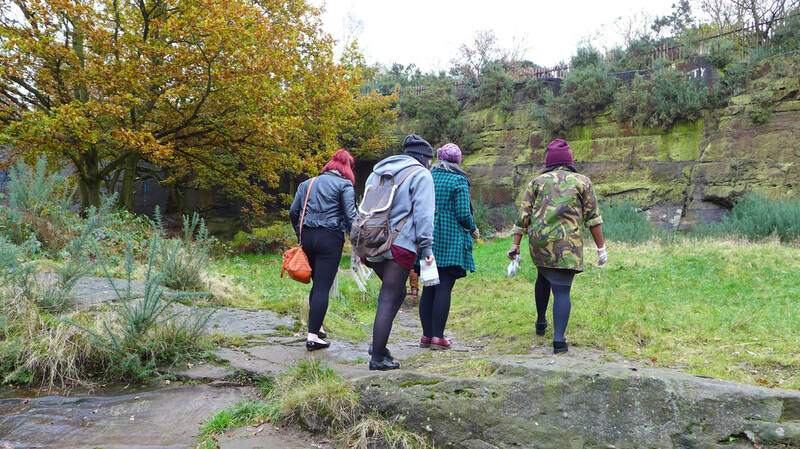 Part of our research will take us out to Victoria Park and the Butterfly House to consider how creatures such as butterflies undergo a process of change (metamorphosis) through their lifecycle. The final work will be displayed at the Brindley Gallery in Runcorn in January 2015. 2014 - St Chad's High School, Runcorn. 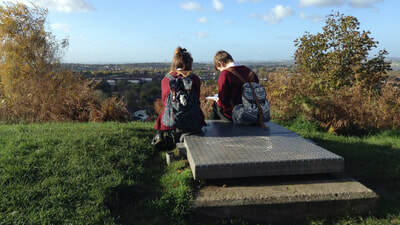 Year 10 exploring local places through research and physical walking, documenting, collecting found objects and making books using paper folding techniques. 2013 - The Heath School - Inspired Responses is a project initiated by Halton Borough Council with local schools & colleges and led by artists who engage with the students, showing them their ways of working, encouraging them to be daringly creative and to extend their thought processes and ideas. The works they produce are exhibited with the artists' work in the Gallery at The Brindley, Runcorn.